You cant keep a good band down. 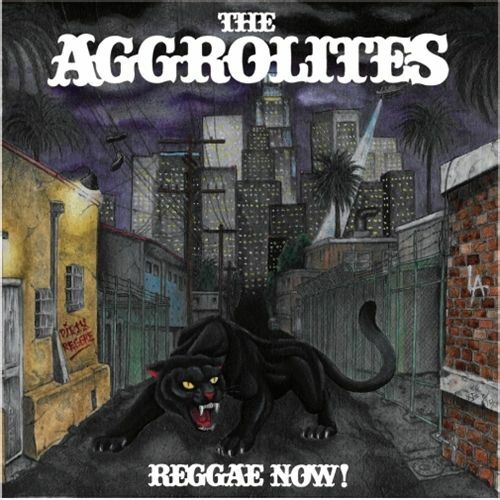 With ceaseless, unwavering fan support, The Aggrolites reconvened in late 2015 to lay down three songs, "Aggro Reggae Party," "Help Man" and "Western Taipan," which reminded them that, hey, theyre still pretty damn good at this. They never gave up, thankfully! That one-off recording session was the spark that eventually created this album, certainly their best to date.REGGAE NOW! is the Aggrolites sixth full-length, and first with Pirates Press Records. Written and recorded throughout 2018, the album finds these architects of "Dirty Reggae" reestablishing their signature sound, re-recording those three songs from 2015 as well as adding on 11 more originals that snap, crackle and pop just as much as your favorite Aggro songs from back in the day.The Aggro Army is excited to get back in the groove.